Italian physician and educator who founded the Montessori method of education that remains in use today by some public and private schools around the world. The Montessori Method (trans. 1964). 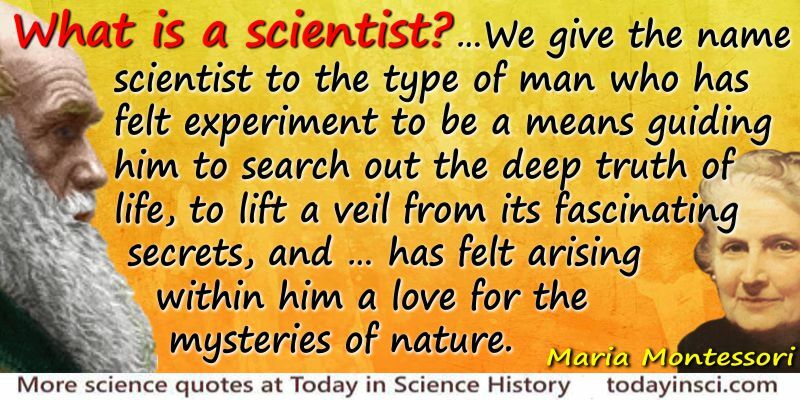 Science Quotes by Maria Montessori. The Montessori Method, by Maria Montessori. - book suggestion.